...right there in the middle of the road! I'll be right back..."
Someone actually parked their car like this. Creative parking is definitely a way of life here, but even by Neapolitan standards, this carefree driver was sashaying into jackass teritory. The guy who double-parked in front of the handicap spot so he could run upstairs and slap his mamma even said so. oh wow - that totally looks like a mess. At first I thought everyone was parked like that... Crazy Italians!!! Heh...now that's some funny shiznit right there! Thanks for the Monday morning laugh! lol - I love your life! I once had my hire car towed over there 'cause I was in an (invisible) no parking zone. Then the nice p'liceman wanted a translation of my driving licence. hmmm, Carlo actually parked like that this afternoon! How did you get that pic? Great stuff. Nice to see us Angelenos haven't cornered the market on bad parking. What's the hell is wrong with you Italians over there? Tracie, did you park like that for the pic? It was you, wasn't it? Come clean! 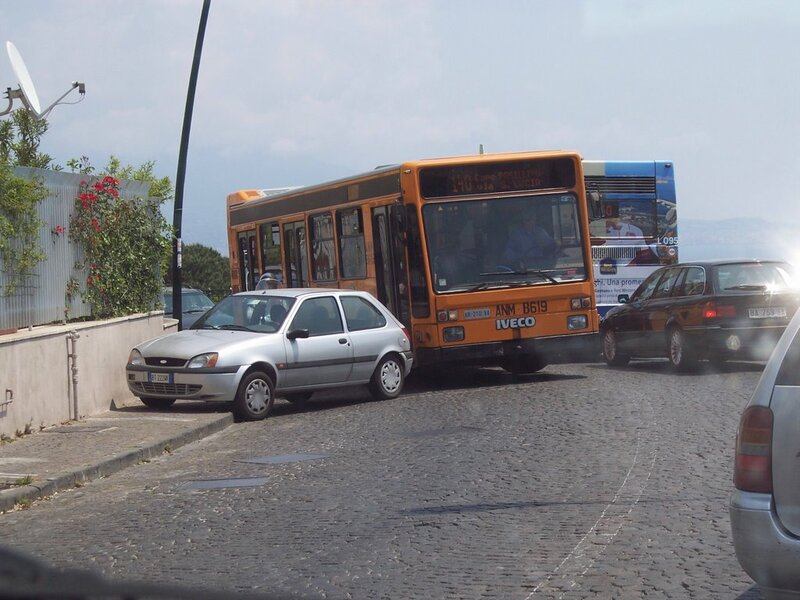 Typical Italian parking. Basically park the car wherever it stops and let everyone else figure out how to get around you. Have done myself a couple of times, of course learned by "example". stelle--you know the sidewalk is no place for a pedestrian!! wow, I thought parking in Rome was bananas. well I live in Naples and I am desperately trying to learn to drive. Well, it is a bit embarassing : I passed my driving licence when I was 18 (now I am 32) but, since then, I have never found the courage to start driving "on my own". I mean: in a very first time I started driving with some friends (and they all told me "ok manu you can drive quite well), but then I found out (clever girl isn't it) that driving with someone by your side was useless because the real need to do it was when you had to go in some place and nobody could drive you to that far place! Sadly this courage I needed never showed up so I gave up the idea but now I am "in need": I work in a place very far and I have to take underground and two buses to get there and it is annoying since I have to wake un at 5 in the morning..............SO I desperately need to get rid of my fears and sit in a car and drive it, but what makes it worst is that the place where I have to learn it is NAPLES and I am really scared....any comments and suggestions are almost welcome! PS: please excuse me for my English.........that's another thing I am desperately trying in this period of big changes: to improve my English!!!!!!!!!!!!!!!!!!!!!!!!!!!!!!!! I have learned that BAD parking is NOT a trait of the north OR the south. Both equaly share in the bad parking department. Actually, are the Italians related to the Mexicans? We so could not get away with something like that in Atlanta but somehow I can picture it happening where I've been in Mexico. hehe, one day I'll stick a video of some Cypriot drivers on my blog. They must be seen to be believed. An official EU poll said that they were officially the worst drivers in the whole of the EU.... but they still think their great. Tell me, if they're so great, why do they think it is acceptable to reverse through traffic-lights to get out of an illegal parking space just because it's quicker than putting their phone down? I'm at a loss with that one. LMAO...I've heard stories about the driving/parking over there...SCARY. I mean, do the police ever write tickets? Is it o.k. if I use this great picture. 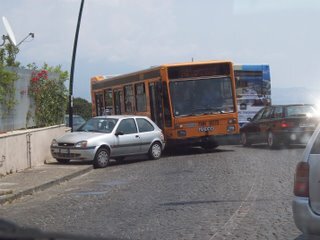 I told my family and friends from Holland about driving, parking etc in Italy and this picture is so making its point!